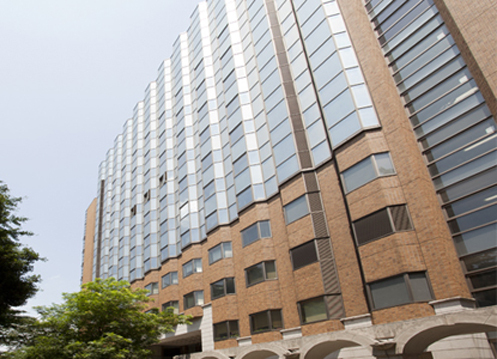 The International Center for Elementary Particle Physics (ICEPP) at The University of Tokyo is a research center for particle physics at the highest-energy frontier, promoting research through international collaborations. ICEPP physicists are working to expand the forefront of human knowledge, aiming to uncover the fundamental laws of the universe and to bring about new ideas that could revolutionize our views of matter and the universe. The ATLAS experiment is an international collaboration hosted by CERN, the European Organization for Nuclear Research, a world-class research facility located on the France-Switzerland border near Geneva, Switzerland. CERN is visited by more than half the worldwide community of particle physicists (approximately 10,000 visitors). ICEPP has participated in international collaborations at CERN since the 1980s. 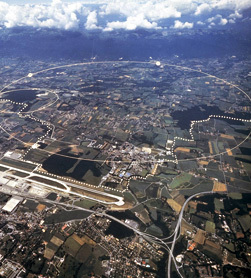 CERN operates the Large Hadron Collider (LHC), the world's highest energy circular collider. The Higgs boson was discovered at the LHC in July 2012, which has since revolutionized the field of particle physics. ICEPP physicists participating in the ATLAS experiment have made important contributions to the discovery of the Higgs boson, which is widely recognized worldwide in the field. The MEG experiment searches for a very rare phenomenon concerning the muon, an elementary particle that has properties similar to the electron. The aim is to test the predictions of the supersymmetric grand unified theory, which goes beyond the standard model of particle physics. The MEG experiment started in 2008 at the Paul Scherrer Institute (PSI), located near Zurich, Switzerland. 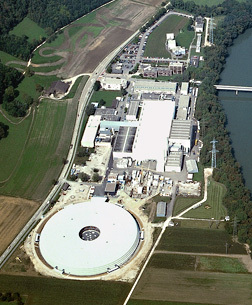 PSI is home to unique research facilities such as a synchrotron light source and a muon source. The MEG experiment was proposed and designed by ICEPP physicists and is now an international collaboration joined by physicists from Italy, Switzerland, USA, and Russia. The first phase of the experiment was completed in the summer of 2013. The second phase (MEG II) is scheduled to begin in 2018, which is expected to increase the sensitivity of the search by an order of magnitude. The International Linear Collider (ILC) project is a particle physicists' dream and an international collaborative effort, with physicists from North America, Europe, and Asia working on the ILC for many years. Within Japan, assessments and preparations have been made for nearly 30 years. The ILC differs from the LHC at CERN in that it will accelerate particles in a straight line. 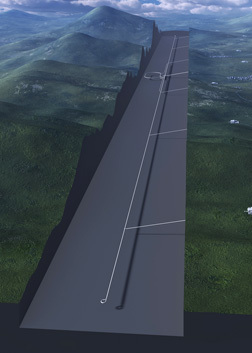 It will be the world's highest-energy linear accelerator. The ILC will enable us to carry out experiments at very high precision and is expected to further advance the knowledge obtained from the LHC. The candidate site for the ILC is proposed to be the Kitakami Mountains in northeastern Japan. If realized, it will not only advance particle physics in Japan, but it will have many spin-off effects in related industries and local communities. ICEPP physicists are working to realize a new world-class research center in Japan. Copyright ©International Center for Elementary Particle Physics. All Rights Reserved.